If you're on Twitter, please retweet! John admitted to me a while back that he falls on the introverted side of the scale. Another pastor of a large church who is an introvert. 1. 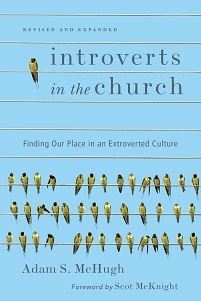 Buy Introverts in the Church. In this industry, and in this economy, it's all about numbers. Publishers are turning down great book proposals because they don't think they can sell the books. Introverts is doing pretty well, for a first-time author that no one has ever heard of, but the numbers still won't impress you all that much. If you are thinking about buying the book, whether for yourself or for someone else, would you consider buying it in the next week? If you are thinking about Christmas presents, could you buy it a couple of months in advance? This will be the number one criterion that a publisher looks at when considering whether to publish my next book. 2. Subscribe to this blog. The proposal template asks how many subscribers my blog has. 3. Join the Introverts in the Church Facebook page. This is becoming a great community, with lots of comments and discussion. And I'm much better about quickly responding to comments there than I am on the blog. 4. 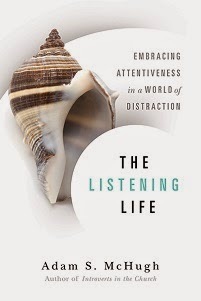 Recommend Introverts in the Church to others. Tweets and Facebook links and blog reviews/mentions are great places to start, as well as, of course, telling people in person (gasp!). You could link to my Washington Post article for starters, or send them to the blog. I really appreciate all your help over the last year! Even introverts can't do these things alone. And I truly love hearing from you. My wife is currently winging her way to Kenya for a 10 day conference with World Vision International. I gave her 2 copies of Introverts in the Church to give to any influential church leaders that she comes across. I'm really curious to hear what reaction it receives. I don't know how popular personality inventories like the MBTI are in Africa and I don't know how introversion might manifest in more communal cultures. Does anyone have experience with African culture who might be able to comment on this? Also, if I don't finish this new book proposal by the time she gets back, may I be trampled by a herd of wildebeest. Do not tell everyone your story. You will only end up feeling more rejected. People cannot give you what you long for in your heart. The more you expect from people's response to your experience of abandonment, the more you will feel exposed to ridicule. You have to close yourself to the outside world so you can enter your own heart and the heart of God through your pain. God will send to you the people with whom you can share your anguish, who can lead you closer to the true source of love. I think what he means by "close yourself to the outside world" (a phrase which I don't really like) is not to rely on other people to take away your pain, because they don't have the power to do so. Only God can do that. But God will give us one or two trusted people who will sit with us in our pain and remind us that only God can fully heal. What's your response to that quote? Is there an invitation for you in it?